When most of us think of diplomacy, images of long tables with microphones at the UN or intense closed-door meetings may come to mind. But there is a powerful path for citizen diplomacy via an international, multifaceted exchange program: TechWomen. Launched by then Secretary of State Hillary Clinton in 2011, TechWomen offers a disruptive approach to diplomacy by offering mentorship to hundreds of women from Kenya, Palestine, and Kazakhstan, and other developing countries, at innovative companies and non-profits based in Silicon Valley. 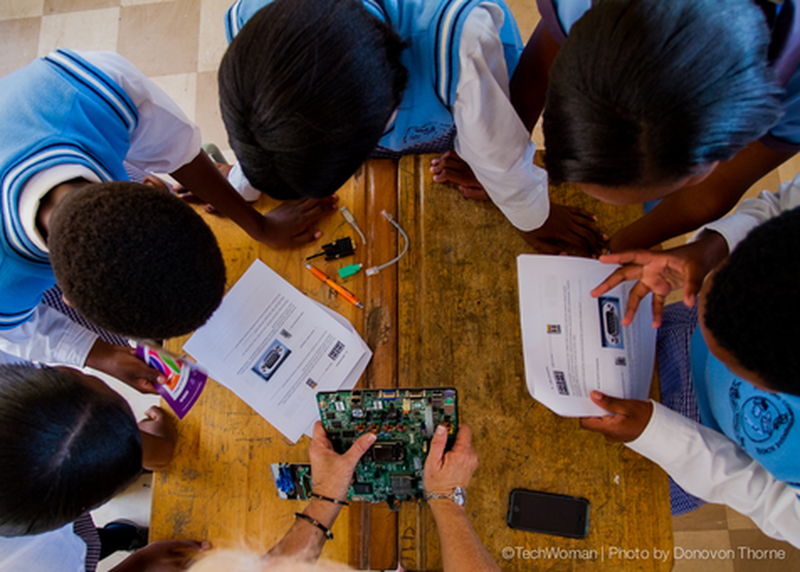 Nearly 1,000 participants from more than 20 countries have been united by their passion for STEM and mission to make an impact on their communities.